after two beautiful days in barford we packed some sandwiches, said our goodbyes and jumped in the car. next stop: norfolk. back when we were living in england we used to spend holidays fishing for crabs in blakeney (apparently the chelsea of norfolk), eating lobster and building sandcastles at the beach. when we moved back to germany we started spending our holidays elsewhere again and slowly but steadily forgot all about norfolk. and how beautiful it is. just the spot of calmness and the breeze of fresh air we needed after a long hot summer in munich. we fell in love with norfolk all over again and will feed you our favourite things to do, see and eat in the next couple of posts. to start, we really wanted to share our favourite beaches with you, as we think this can be a bit of a "hit or miss" - we drove to quite a few, some that you're better off avoiding and some that are so beautiful we just had to share. 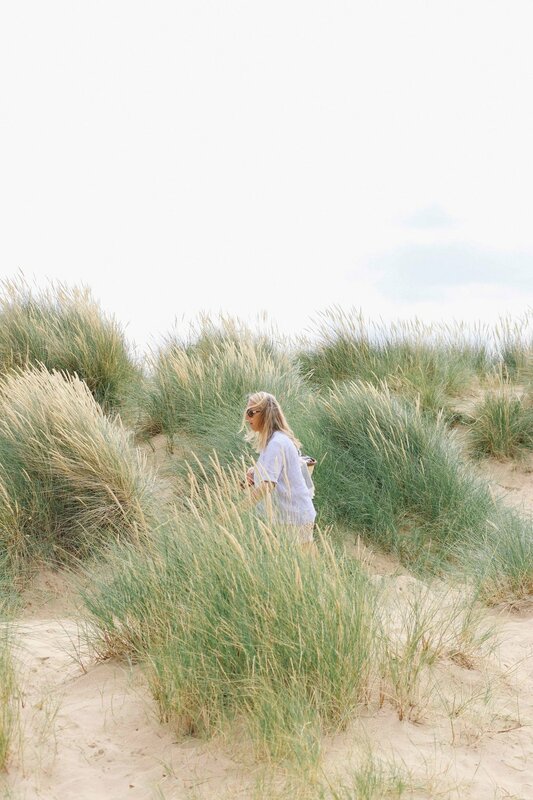 we loved holkham beach for its sheer vastness - sand and water as far as you can see with beautiful dunes to nestle into and enjoy a picnic or just some rays of sun and a good book. there were lots of dogs racing around and playing so coming here with your dog must be a dream (we wished we had taken leni!). 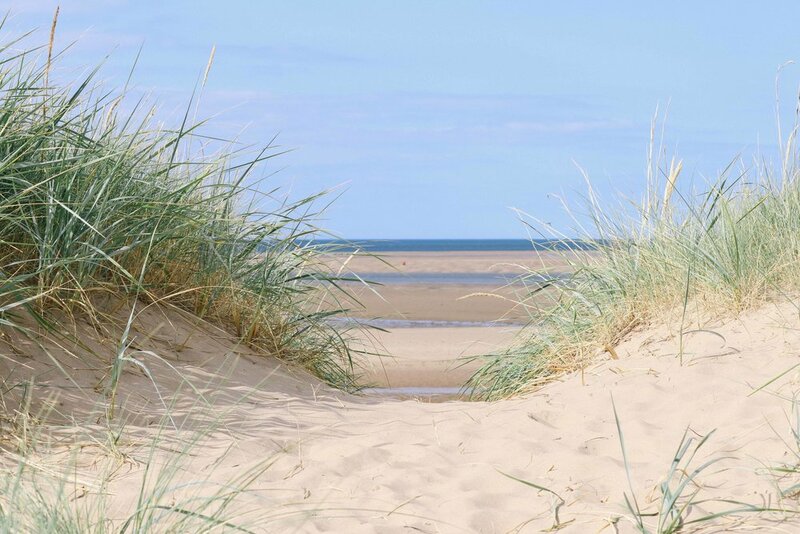 it's also possible to bring your horse and go for a ride along the water, making holkham an animal lovers' paradise. still, it's so vast that you can absolutely come for a long walk and some peace and quiet without being bothered by anyone or anything. it also wasn't crowded at all when we were there. maybe because it is rather a little stretch to walk from the parking lot. we didn't mind at all and it was a beautiful walk through the marshland. just remember this when planning a trip in case you have lots to carry or are travelling with little children. 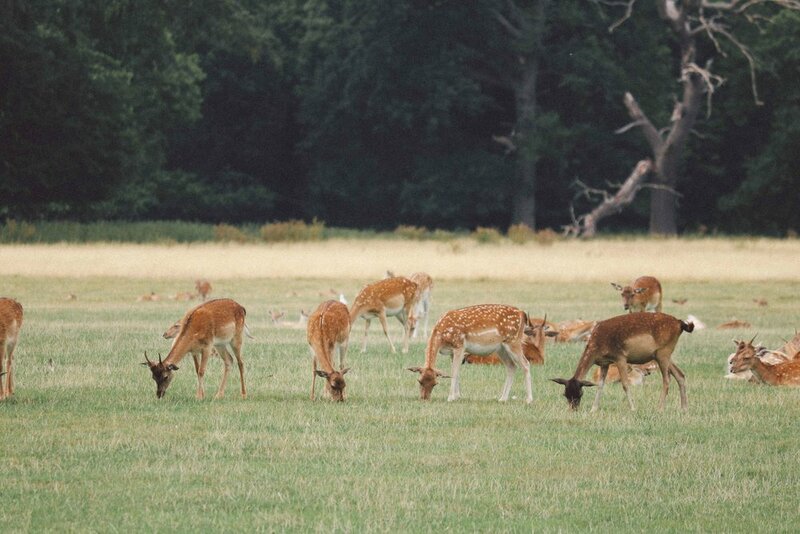 when visiting holkham beach we suggest you go see holkham hall afterwards, as well. it is just down the road across from the beach car park and has a beautiful deer park, walled gardens and a house that is worth visiting. the family who own it still live there but it's open to the public on mondays, thursdays and sundays (the grounds and gardens are open every day). afterwards, stop for some cake at the courtyard café and enjoy a look around the lovely shop - we certainly did! 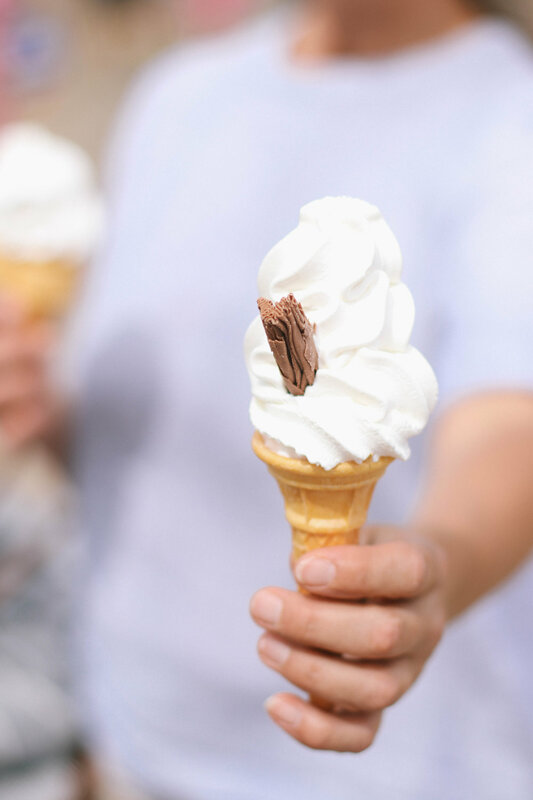 if you're looking for a proper bite to eat we recommend the victoria inn. weybourne beach was just a super quick drive from our cottage in letheringsett so we loved coming up here for the golden hour when the evening sun bathed the cliffs and stones in golden light - quite spectacular! as you can see from the pictures weybourne is a pebble beach with a strip of sand right by the water. it therefore wouldn’t be our first choice for a typical beach day when you just want to cosy up in the sand and read but it’s perfect for picnics when sand can in fact be a bit of a pain. 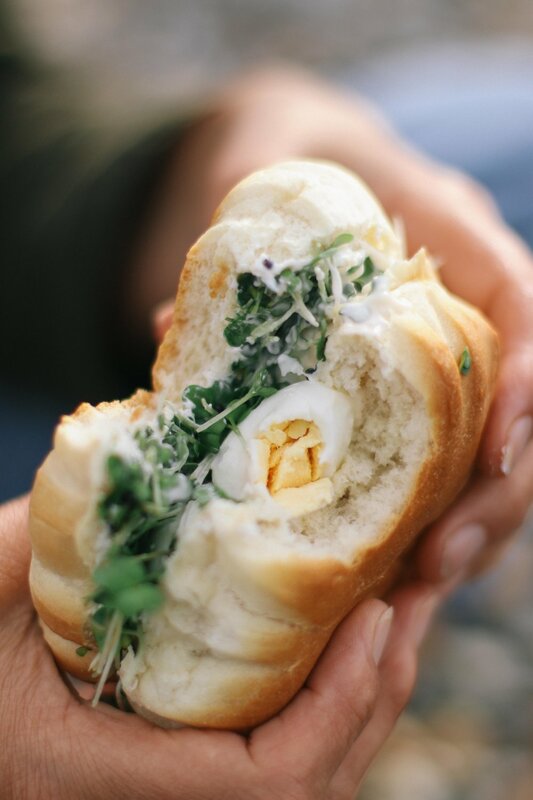 we packed a basket full of quail egg salad and crayfish & rocket sandwiches and homemade flapjacks and were happy to just sit on the pebbles and enjoy the view. 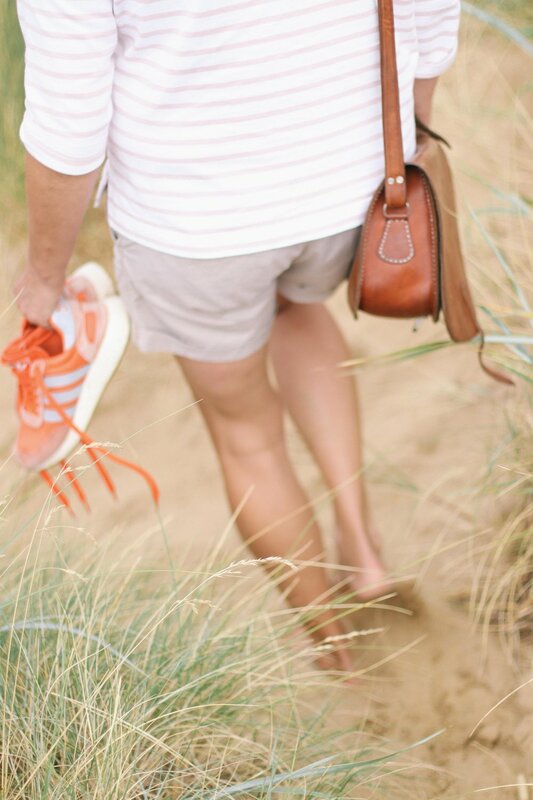 after the picnic we absolutely recommend you go for a walk along the norfolk coast path that starts directly at the beach. 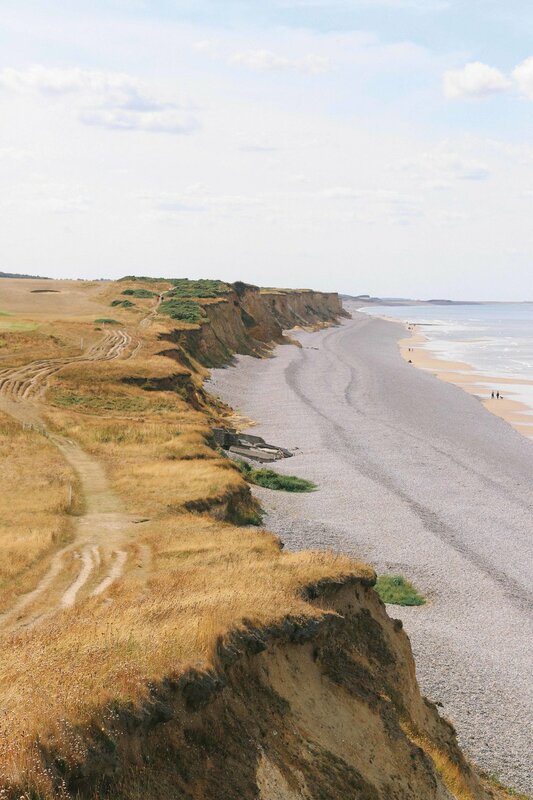 you can walk all the way to sheringham and it’s a beautiful route with stunning views that you mustn’t miss. it’s an easy walk we would consider appropriate for almost all ages - the whole walk to sheringham is just over 4km and pretty flat throughout. 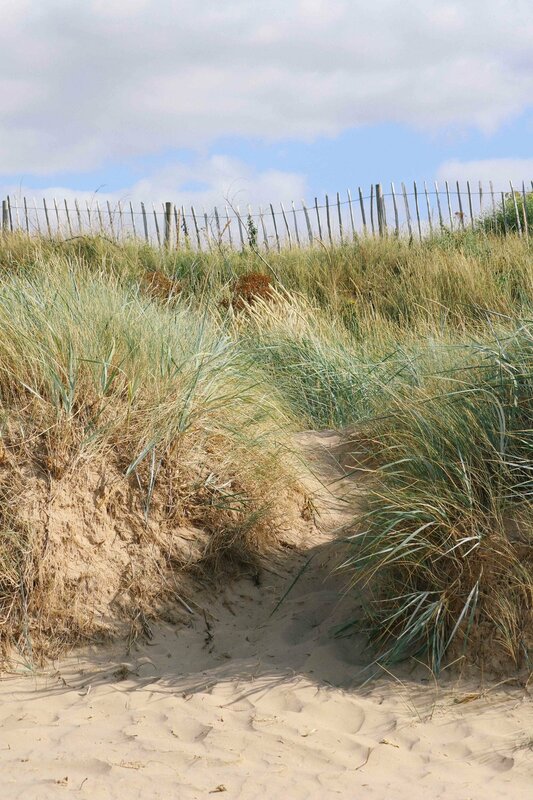 this beach is owned by the national trust and therefore not only very well kept but also perfect with children, as you can drive right up to the front (unlike holkham beach where it’s quite a stretch from the parking lot to the beach). 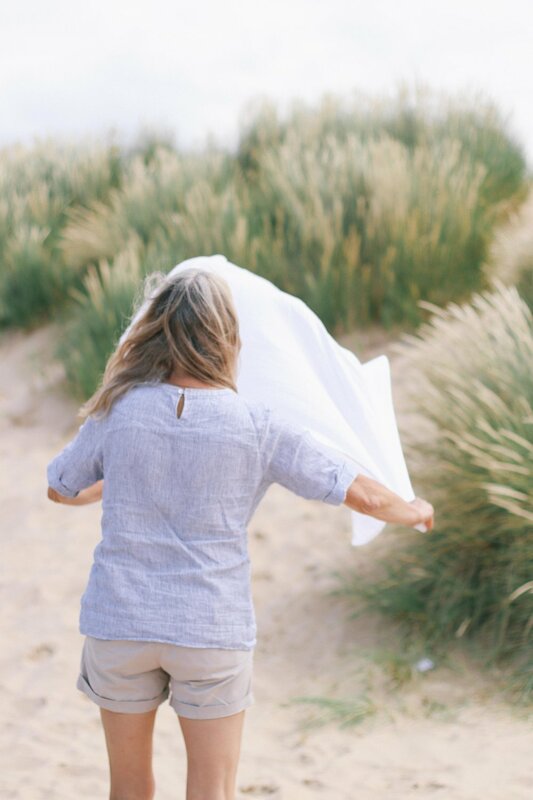 having said that it might be important to add that you won’t be directly by the water, as brancaster beach is exeptionally wide and you can quite literally walk miles until you’ve reached the water. it’s perfect to build sandcastles and there are pools of water to tap into so you probably won’t even mind (we didn’t!). there is so much space that in parts it can feel as though you have the beach to yourself which we really enjoyed. perfect for dozing off or long long beach walks. 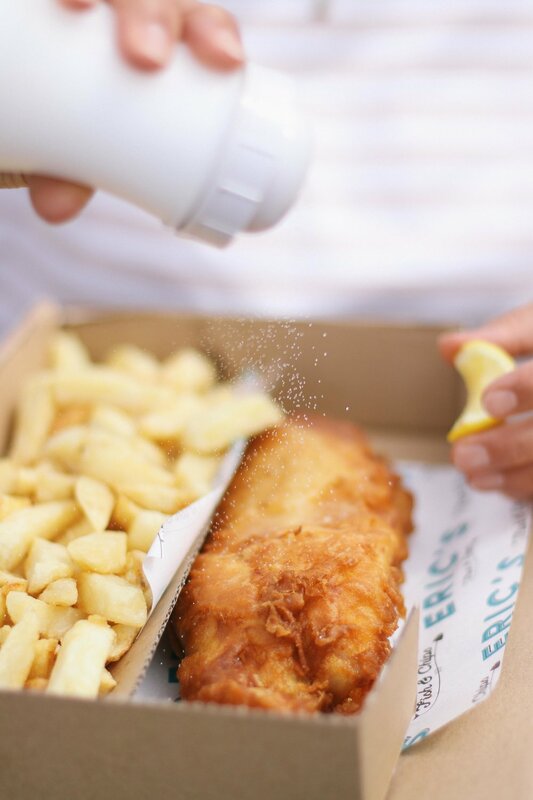 just under a 10 minute drive away from brancaster beach and sat on a compound with lots of great little shops you’ll find eric’s fish and chips. we read about it in the car and literally 10 seconds later drove by it accidentally - if that wasn’t a sign we don’t know what is. we ordered beer battered cod loin and beer battered king prawns with a side of fat chips and homemade tartare sauce that was ridiculously delicious. the fish was cooked to perfection but the real winner were the king prawns - if we could fly back just for them, we would. eric’s has a really nice outdoor area to sit and the other shops are worth a visit as well, so really make sure to plan a stop here. just because we mentioned it before we think we should add that hunstanton beach is definitely to be skipped as we found it just wasn’t worth our time at all. when we were there it was ridiculously crowded and not what we look for in a beach, regarding scenery and crowd. it might be nicer during low season but we would still recommend avoiding it altogether as there are so many far more beautiful spots.